The flange cartridge heater variation is a stainless steel construction that allows convenient mounting – as well as a way to position the cartridge heater within an application. Standard flange options are staked on and located 1⁄4″ (6 mm) from the lead end. The flange can be positioned up to 2 1⁄4″ (57 mm) from the lead end – as long as the area is over a no-heat section. 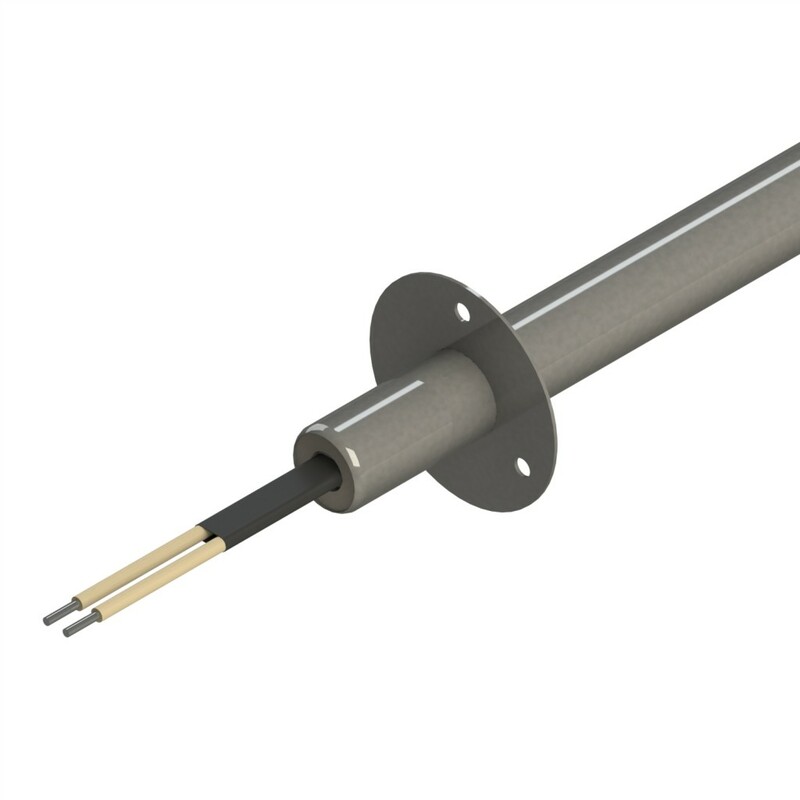 This cartridge heater option can be constructed in combination with most lead arrangement configurations.